As you may already know, Ms. Takeuchi is not just a huge fan of figure skating, but of ice skating in general. If you didn’t already know this – SURPRISE! – now you do. But her love for ice skating actually goes back even further than that. Ms. Takeuchi used to go ice skating a lot when she was a kid and, when she was in junior high school, she would even occasionally skip school with her friends and come all the way down to Tokyo in the summer to skate at the Shinagawa Prince Hotel’s indoor ice rink!3 For those of you who aren’t masters of the Japanese train system, that’s a nearly 2-3 hour trip one way! Talk about dedication. So, yes, Ms. Takeuchi happens to be something of a fan of figure skating. But what does that have to do with anything, and why should you and I care? Well, I would argue that this is where a lot of her inspiration comes from in how she poses her characters, and how action scenes are laid out. And it’s not just the manga, either. 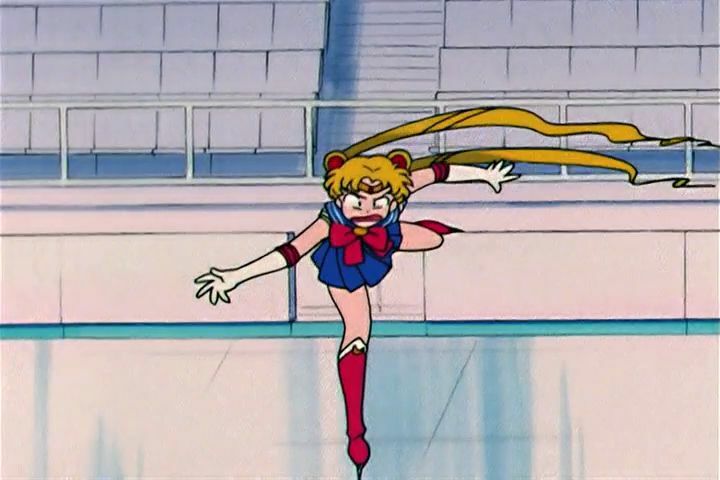 Even the anime took this inspiration and ran with it, most specifically in the transformation sequences, but also in her choreography for the Moon Spiral Heart Attack. Who knew a heart attack could be so lovely? 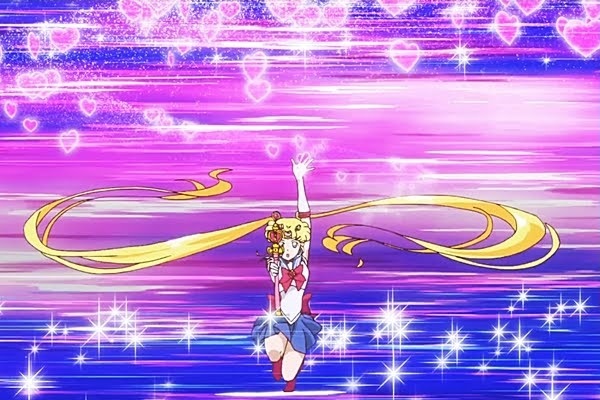 While the Sailor Moon series is often said to be a “girls version of a Super Sentai show” – and they’re not strictly wrong for describing it that way – the series brings a lot more to it than simply switching out the genders and adding a romance story arc like a fresh coat of paint. The Sailor Soldiers all carry themselves with a certain degree of elegance and grace, even when they’re fighting enemies willing to commit untold atrocities, which I think is also a very important part of the series’ style. 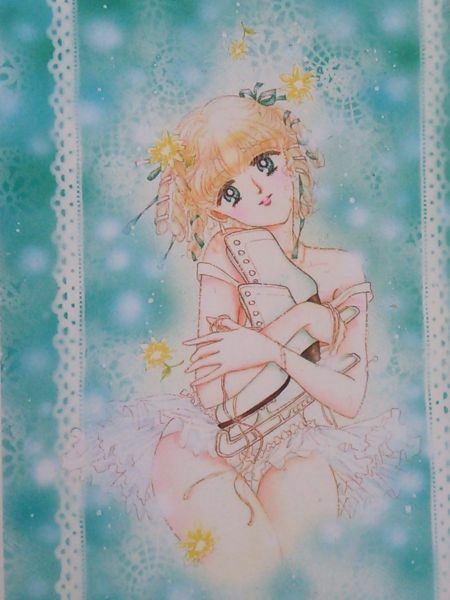 So I guess what I’m trying to say, using as many words as I possibly can, is that figure skating had quite a strong impact on not only the character designs in the Sailor Moon universe, but also on the key visual theme of the series. It’s something that I never really noticed, but when I went through several action scenes in the manga and watched a lot of the stock transformation and attack footage in the anime, that elegance really does make an impact. It’s that kind of subtle beauty that I think is what makes Sailor Moon the classic it is. I’m sure there are many, many more obvious – and not so obvious – connections with ice skating, so if there’s anything you’d like to add, I’d love to hear it! ← What Do Youma, Droid, Daimon, Lemure, and Phage Refer To? The Cherry Project is actually a pretty interesting story. Miss Dream has a full English translation up, which would probably be a good place to check out. Unfortunately, the story is pretty dated now and is pretty generic, so I doubt it’ll ever get picked up for an official translation. But it’s still a fun story and is full of the Takeuchi-style you’re used to! Did you catch the references to The Cherry Project in the background of ep 28? Huh, nope, I totally missed it. What references were those?? Do you know if there were any real life locations that served as inspiration for the design of the Juban Ice Arena? No real hard evidence, but if I were to take a shot in the dark, I’d probably guess the Shinagawa Skate Center. It closed in 1991, but it was near Sailor Moon takes place (also in Minato ward, I think), and was also the place that Naoko mentioned going in her youth. Okay, that’s good enough for me!